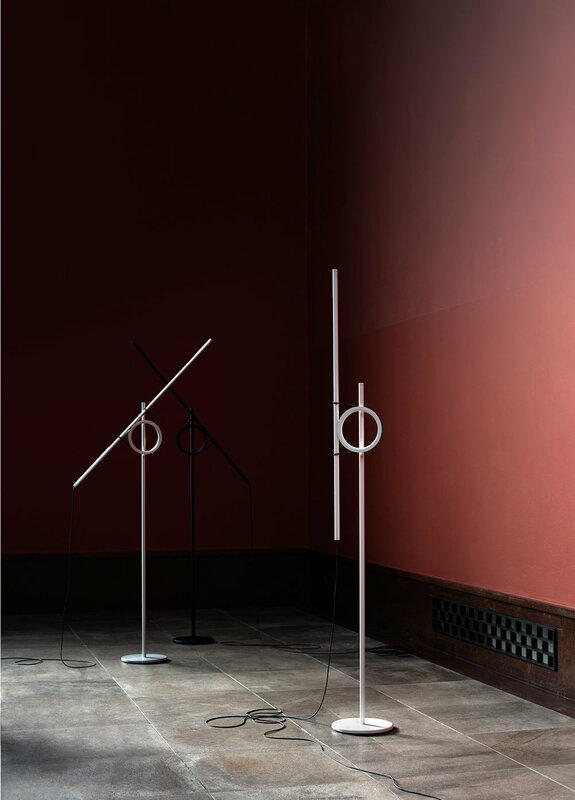 Tangent is an adjustable floor lamp inspired by geometric principles. The form and simplicity of the lamp’s mechanism gives it a sculptural quality that invites you to interact and explore its function. The lamp consists of two main elements: A linear LED with an integrated dimmer is contained in the light tube. 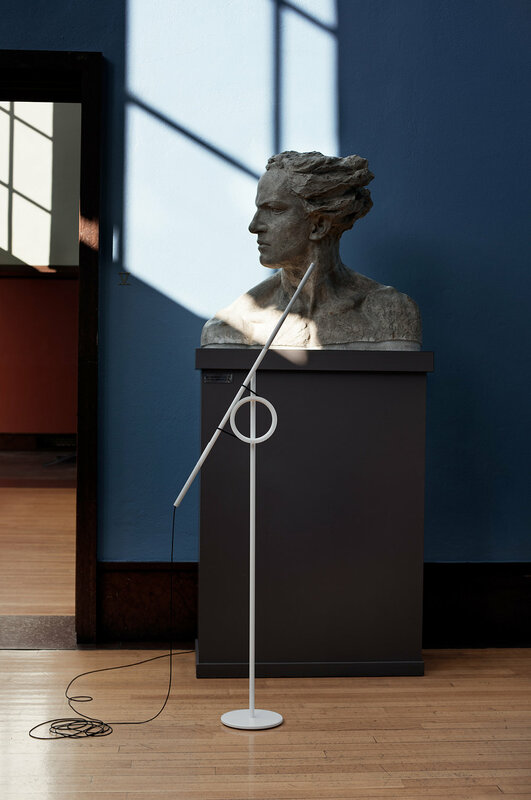 This interacts with the ring of the free standing pedestal through the combination of tension, friction and balance allowing the user to create whatever functional or aesthetic lighting effect is desired. Although unique, the mechanism is intuitive and easily understood. The light tube can be rotated around the ring, rotated along its own axis and moved linearly. Finally via the pivot in the base and by positioning the lamp itself in the room innumerable scenarios are possible; reflecting off walls for ambient light, creating scenographic effects or simply as a task light. For further inquires and prices please contact Pallucco directly.